In 1995, a campaign by Greenpeace against Shell to stop it dumping its redundant Brent Spar oil platform in the Atlantic, created a huge international outcry and forced Shell to rethink its plans. At the time, Shell’s public relations disaster and later corporate capitulation, was seen as supposedly ushering in a new era where big oil could not just dump its waste at sea and a new era of corporate responsibility. But if the British public thought that was the end of the controversial matter of oil rig decommissioning, they would be wrong. 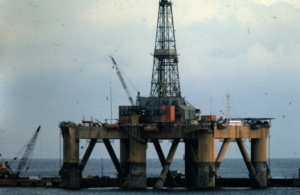 A new report published by the UK National Audit Office, the official watchdog on Government finances, believes that there are still around 320 fixed installations such as platforms and pipelines operating in the British North Sea. As these are decommissioned over the next few years, the UK Government will give the oil companies in excess of 30 billion dollars in subsidies. This will come in the form of tax repayments and forgone taxes. The situation is so bad that in 2016-17, the government actually paid out more to oil and gas operators in tax reliefs than it received in revenues, resulting in total repayments of over $300 million. Although there is a degree of uncertainty on the total bill UK tax-payers face, the figure could even be significantly higher: “Taxpayers are ultimately liable for the total cost of decommissioning assets that operators cannot decommission”, notes the report. As well as burning a large hole in the wallets of British tax-payers, the oil industry will carry on extracting oil and gas that we cannot afford to burn. The report notes that there are “10 billion–20 billion” barrels of “recoverable oil and gas”, which remain in the UK. Very informative blog, thank you for writing it! As a citizen and activist who is deeply alarmed by the multitude of scientific reports being issued which detail the various calamities that the world will face if large scale solutions are not quickly implemented to stave off cataclysmic and irreversible damage to our environment, the world economy, and many other critical areas that pose an existential threat to all life on Earth – I desire to join the growing movement of activists around the globe who are ready to stand up and fight for our Earth. In the early stages of my research I am trying to hone in on the areas in which the deepest positive impact may be made in fighting for a transition from fossil fuels and coal to renewable energy sources. This statement is not made in your blog, so first I would like to ask if you agree with this statement, that the task of eliminating producer subsidies is the first step in a transition to clean energy plan? And if you do agree, how would you go about trying to convince someone (such as an inquiring activist like myself) that this is an area of focus that activists, politicians, producers, and other interested parties should begin with, as opposed to, say, focusing on divesting from fossil fuels? Focusing on campaigns to pressure entities like the World Bank to follow through on their commitments to divest from fossil fuels, for example? Do you believe that, in terms of the potential for the greatest impact, focusing one’s attention on eliminating fossil fuel subsidies is a more worthwhile area of focus?